Can you believe January is almost over? I know I say this every month, but seriously, time flies! Today we’re looking back at some of my favorite January posts from years past. Unsurprisingly, it seems like January is always a productive month for me, so there’s some fun projects in this month’s roundup…plus puppy pictures! Painting my grandma’s china hutch was one of the biggest/scariest DIY projects I’ve ever tackled, but it turned out to be one of my favorite pieces. I know my grandma would be happy that I kept this piece and made it my own. The unpainted inside has grown on me over the year, so I’m still undecided about leaving it wood or painting it. I do like how it highlights my ironstone collection, which has grown substantially since these pictures. These pictures are probably the most shocking before/after pictures on my blog. 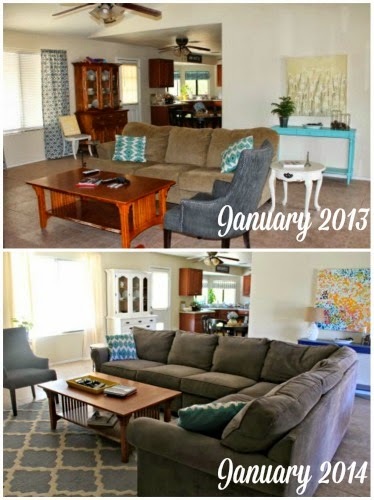 The main living space changed so much in 2013! I wish I had done this same picture project the year before, so I’d have more pictures to compare. At least I remembered to do it this year, although the change isn’t nearly as dramatic. 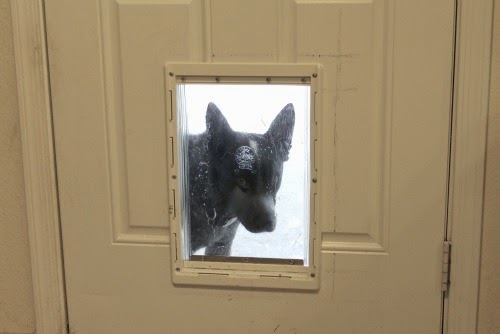 Two years ago we installed a doggie door. It might not be the most pinable project we’ve ever done, but it’s definitely the most practical. I love that thing…and so do the dogs! They are now free to come and go as they please during the day and at night, so this is definitely their favorite blog project. 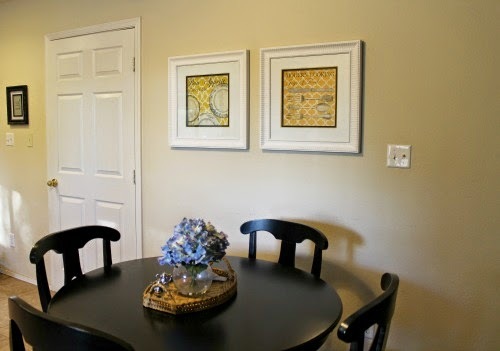 This was a fun project and a great way to use one of those IKEA frames that everyone seems to have laying around. 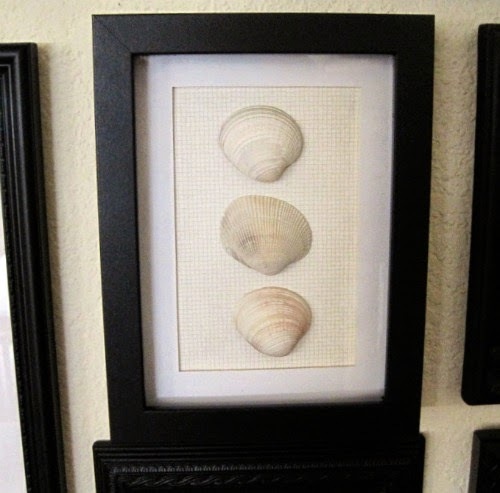 I took all of those frames down last year and got rid of most of them, but I still have my seashell art. I just need to find a new place to hang it. My sweet Abby dog! She turned 3 years old this month! Getting Abby was the best decision I’ve ever made and the best thing that’s ever happened to me. She’s the sweetest, most loving dog and I love her to pieces. She loves cuddling and thinks she’s a little lap dog…and I wouldn’t have it any other way. I look forward to Abby snuggles every day (I love Ringo snuggles too, but some days he thinks he’s “too cool” to be cuddled). I didn’t start blogging until February in 2011, so that’s as far back as we can go for January posts. It’s been fun looking back at how I’ve kicked off the New Year for the past few years. I love this post idea! Looking back on past years is always so fun. It's kind of motivating too when you see how far you've come! LOVE THE HUTCH! 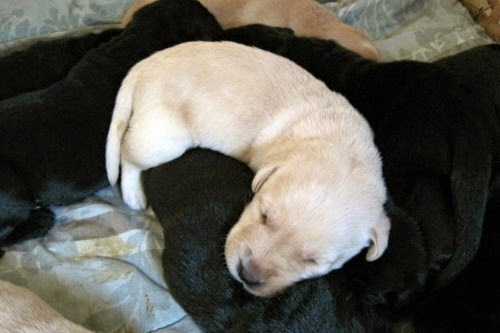 Ahh cute puppy picture! Have to love those. I like all the before/after shots, the living room area looks beautiful. The carpet is great. I like how the hutch has turned out! What a great piece!